In this rich companion to the Bible, renowned scholar Tremper Longman III gathers the best in historical research and literary analysis to lead you through each book of the Old Testament. An abridged edition of the popular textbook, An Introduction to the Old Testament, this comprehensive guide includes questions for individual use or group discussion. ^^ ^Renowned Bible scholar Tremper Longman III gathers the best in historical research and literary analysis to lead the reader through each book of the Old Testament. Most significantly, Longman explores the meaning of each book in light of its cultural setting. Abbreviated chapters highlight key research discoveries, ensuring that the information is both significant and manageable. ^ ^Including questions at the end of each chapter for group discussion or personal reflection, Introducing the Old Testament makes the words, history, and culture of biblical times come alive for readers. Laypersons as well as church leaders will take away a solid understanding of the historical background and theological message of the Old Testament and be inspired to apply biblical truths to their lives. 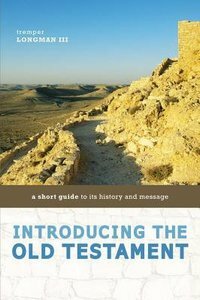 About "Introducing the Old Testament"